Marijuana stocks have been all the rage the last few months, once such stock is Tilray. 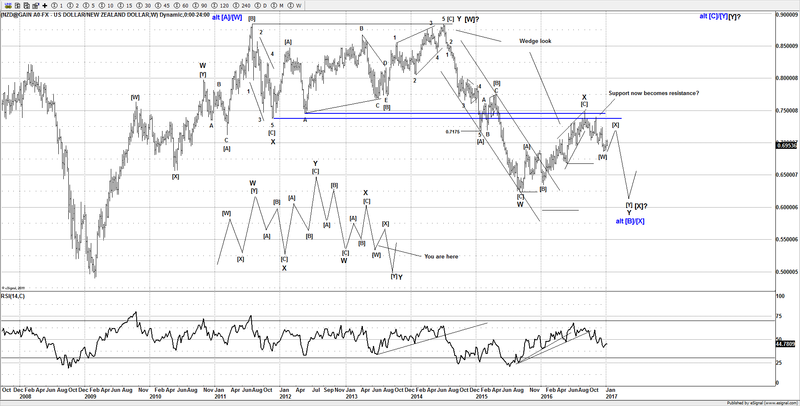 The advance from the Jul 2018 lows appears to count as a completed impulse wave. There is a clear 5 wave move at the moment, so if any upside stays below 127.32, then there is a strong setup for a potential move lower to correct the advance. 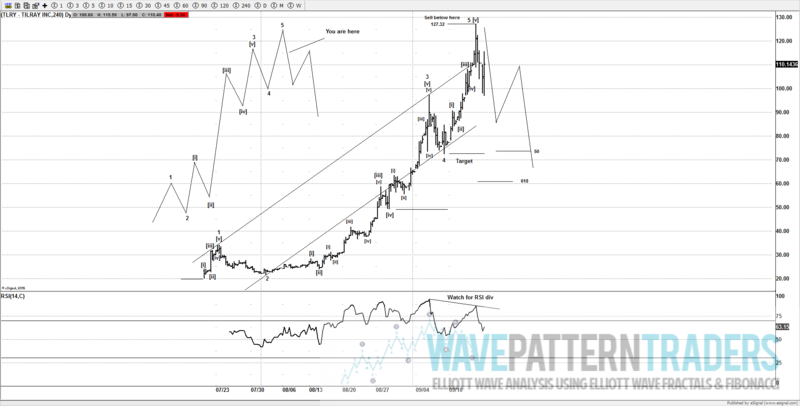 A 3 wave decline towards the prior 4th wave is a good target around the 70.00 area, so thats a fair size retracement, but nonetheless a pullback is favored against 127.32. The large RSI divergence with the last high is a good sign the move into 127.32 is a 5th wave of an impulse wave as I am currently counting. Do you have a stock that you want evaluating? 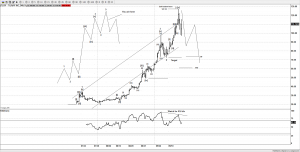 Purchase a consultation call and get an independent review through the lens of Elliott Wave. With the US stock markets vibrating around the previous all time highs, it may be prudent to think about protecting any gains you have. Note: If you are a member, you can email me or send a tweet for an update if you are thinking about trading this stock. This entry was posted in WPT BLOG. Bookmark the permalink.